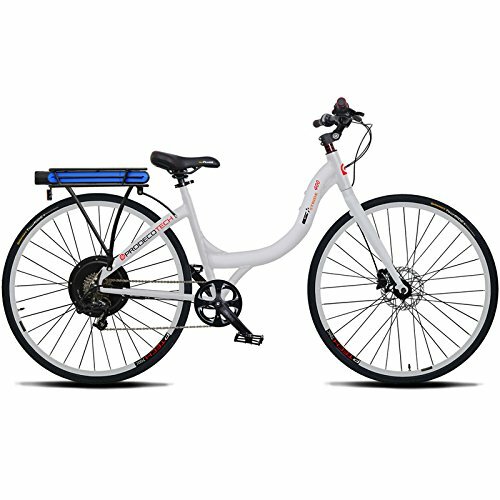 Check out the pure white gloss version Stride 500, with its powerful 500-Watt motor, which delivers 720 Watts at peak, and a high capacity 11.6-amp battery. 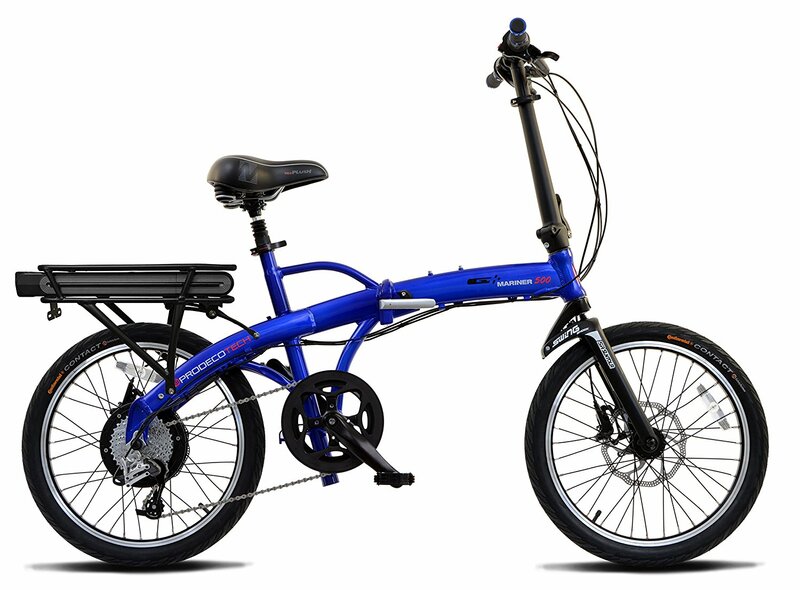 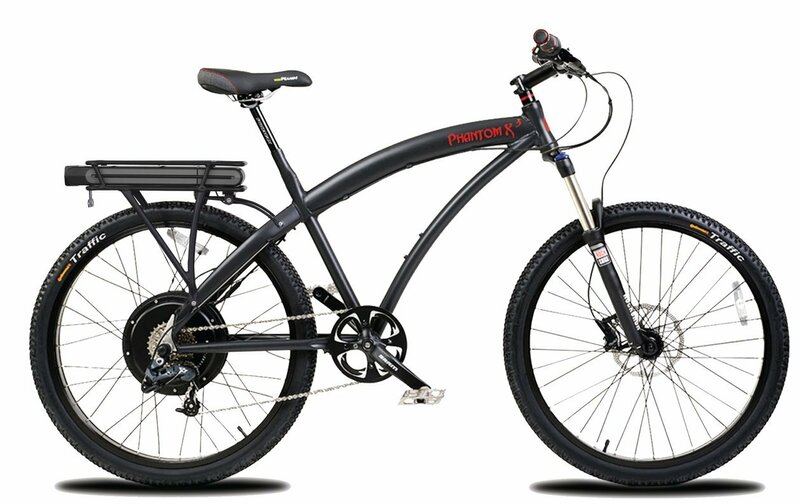 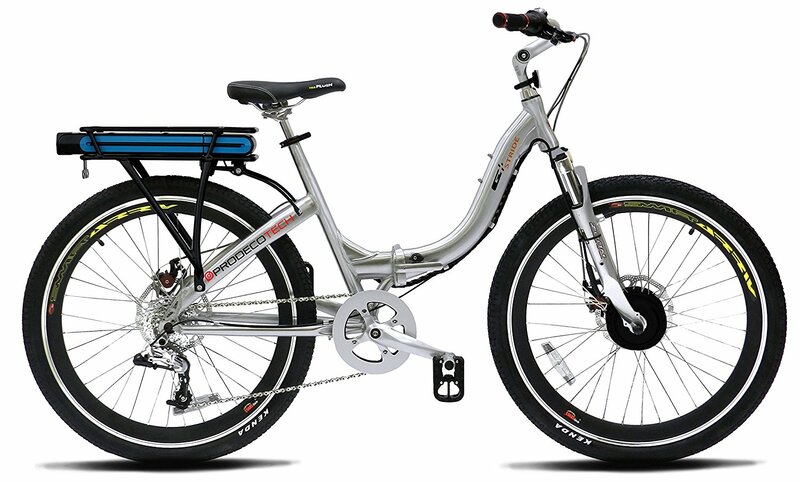 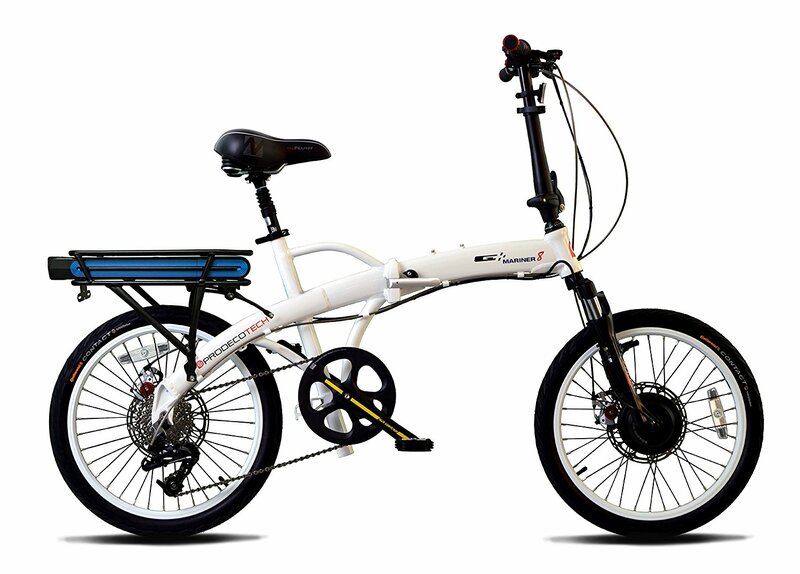 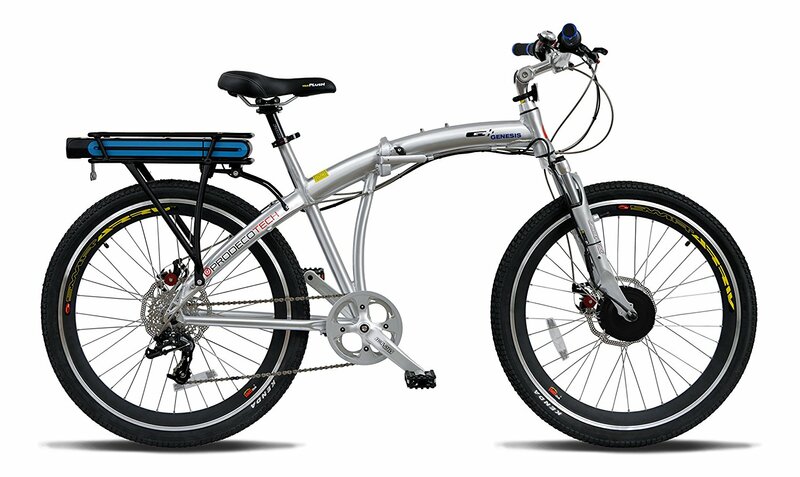 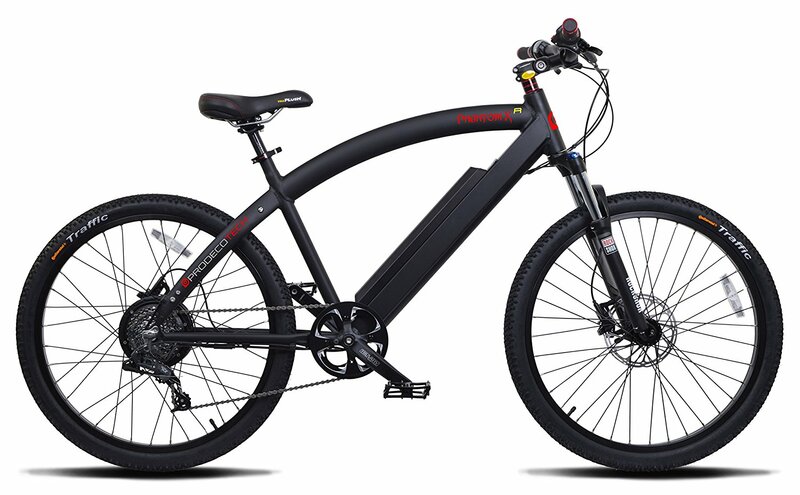 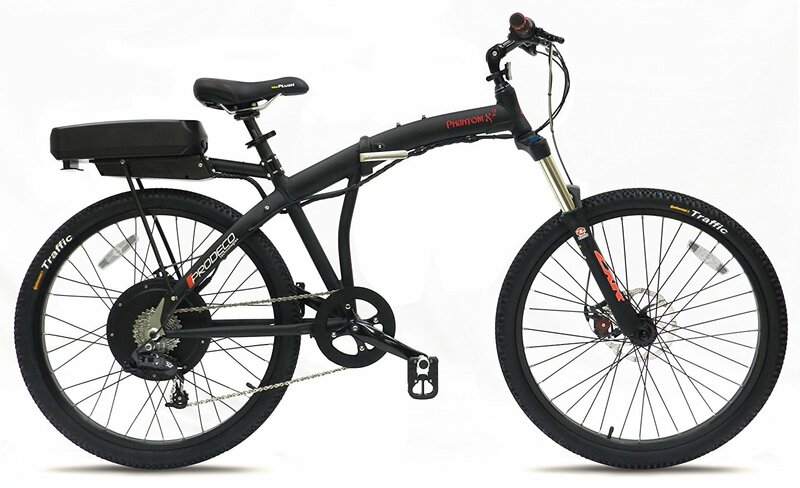 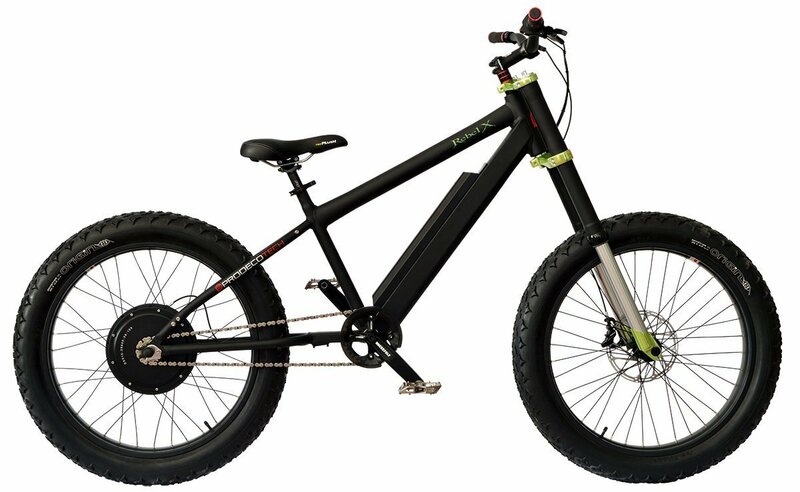 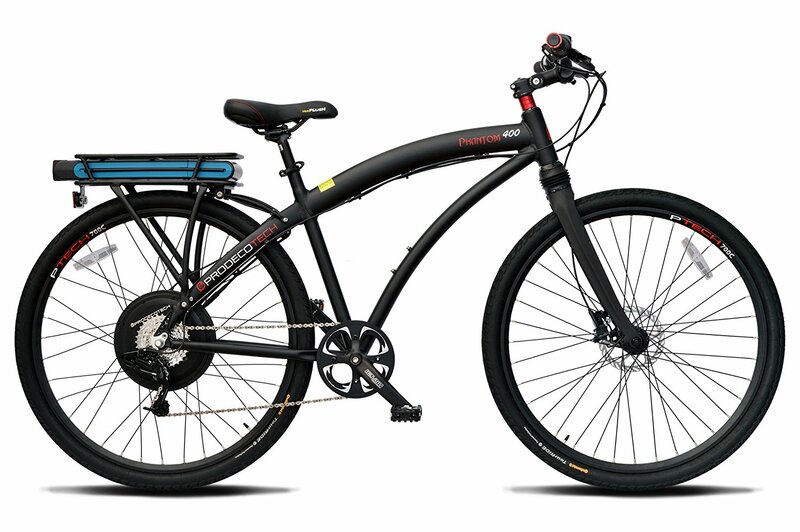 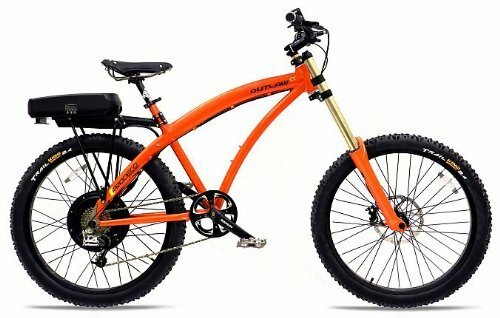 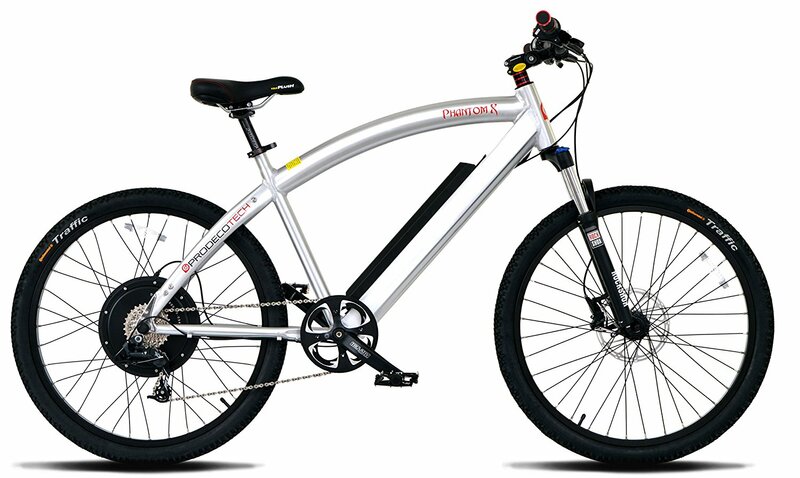 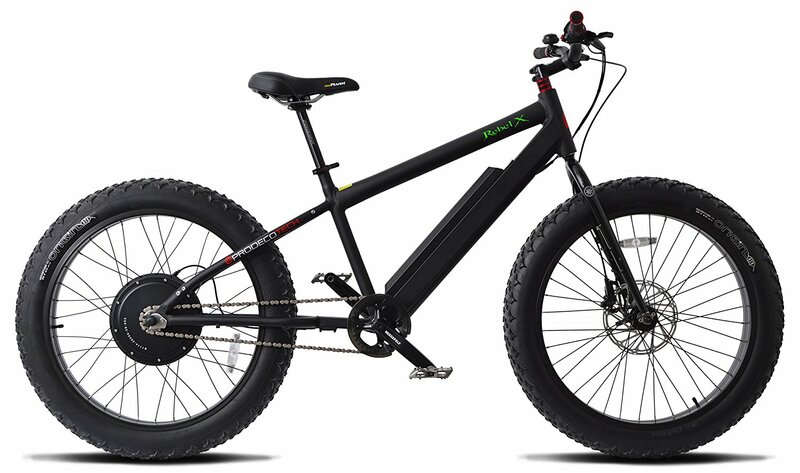 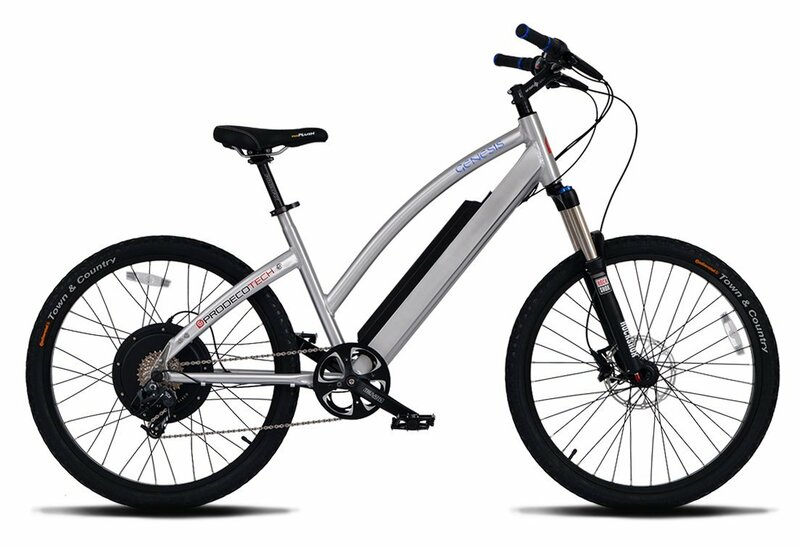 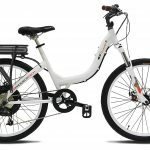 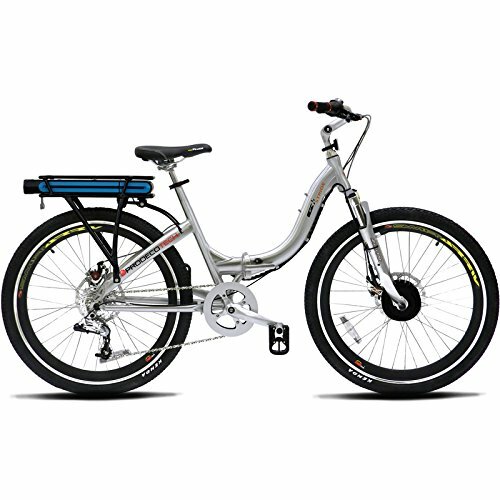 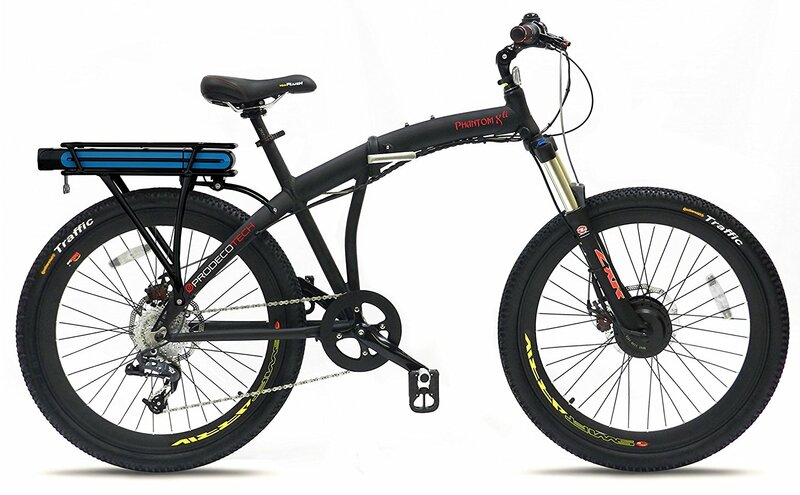 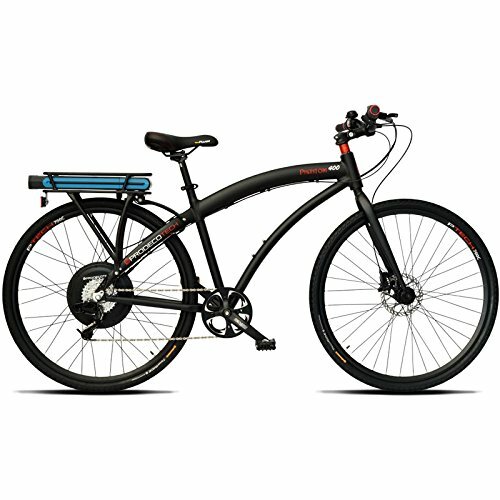 This step-through, rigid frame electric bike brings new meaning to the term “ease of use.” You will also appreciate the Avid DB1 hydraulic disc brakes and Avid 180mm HS1 rotors for the best in heat shedding, not to mention the SRAM X7 Twist 8-speed shifter and the ultra-durable Continental Town & Country 26 x 1.9 tires which provide stability and traction. 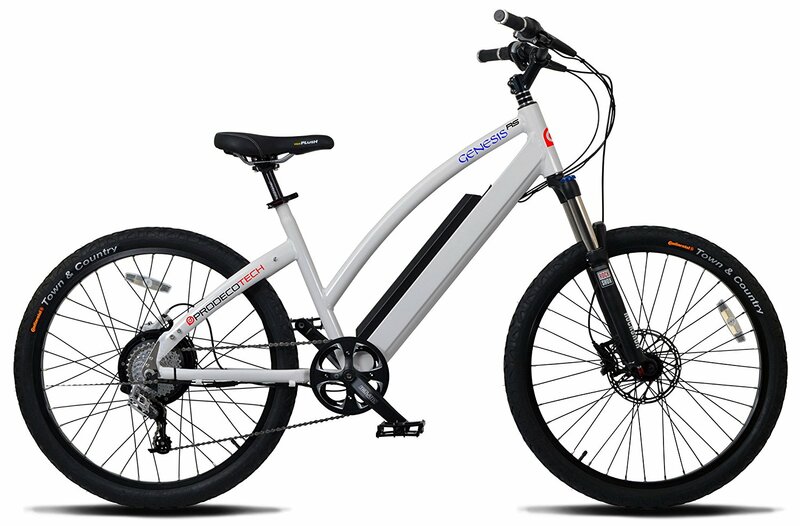 Just give a half twist to the throttle and activate the “power-on-demand” propulsion system to reach speeds of up to 20 mph. 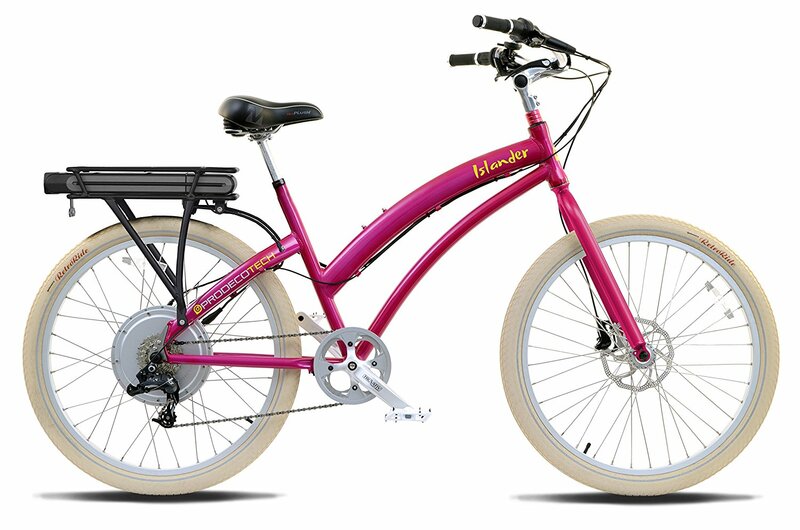 The comfort of the Stride 500 is unmatched, as it is engineered for easy mount and dismount along with an oversized vented saddle for cushion. 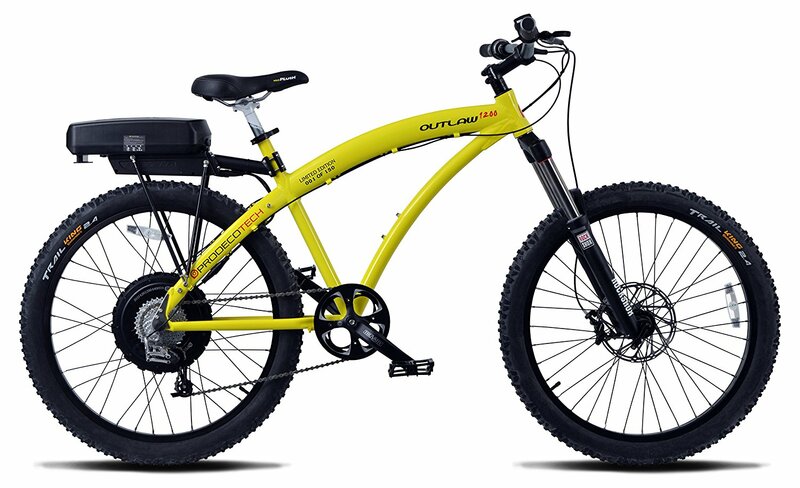 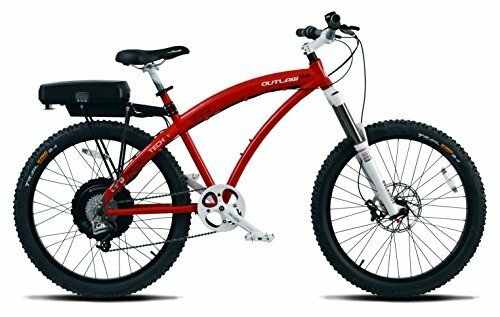 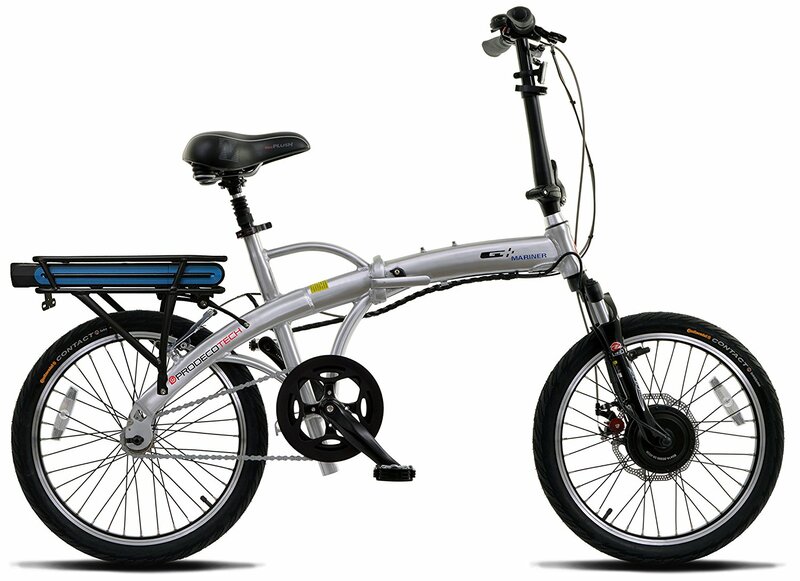 This bike is perfect for all ages and all levels of riding. 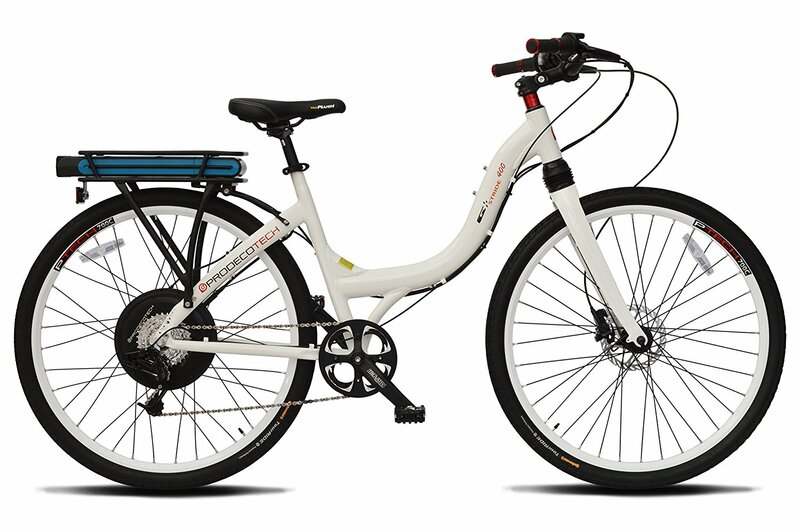 I’m giving this bike four stars for being almost entirely perfect, with just a few minor complaints. 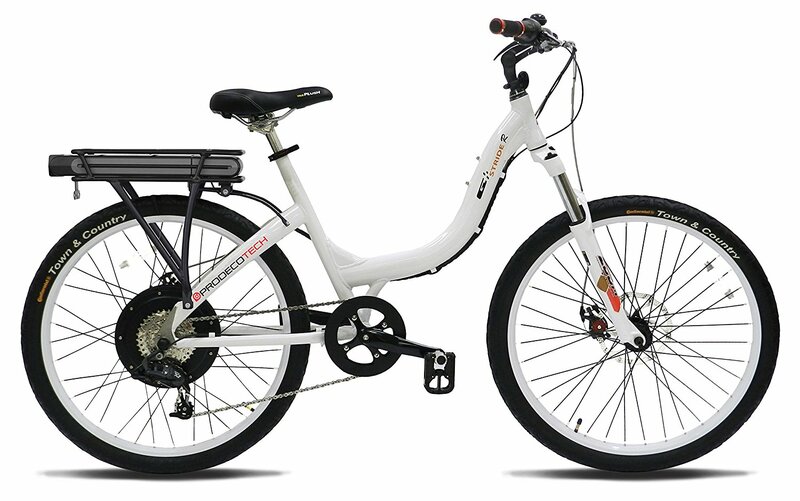 It’s a solid bike, affordable and good quality. 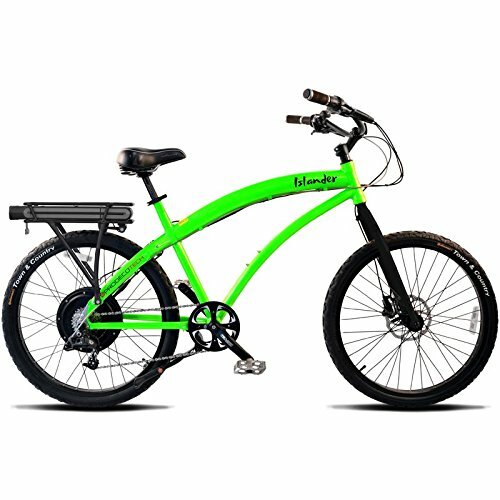 The motor is 500 watt gearless design, sort of like a scooter I suppose. 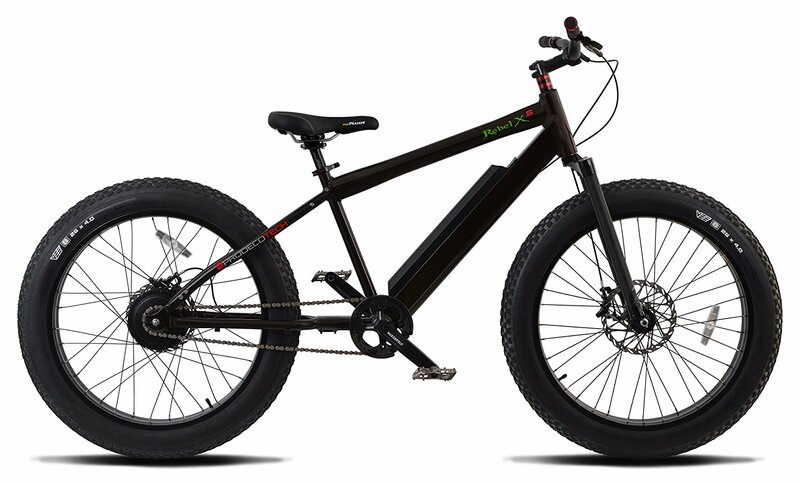 So it’s not super sophisticated, but that’s what makes the price tag lower. 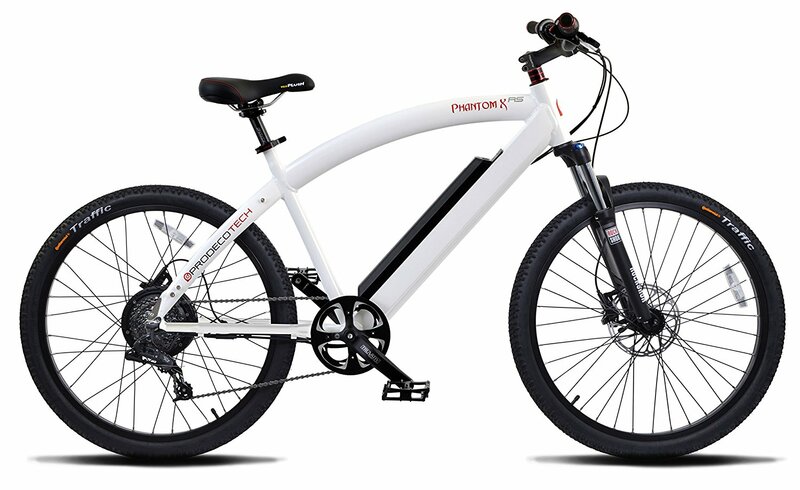 The two year warranty includes the battery and is a huge bonus IMHO. 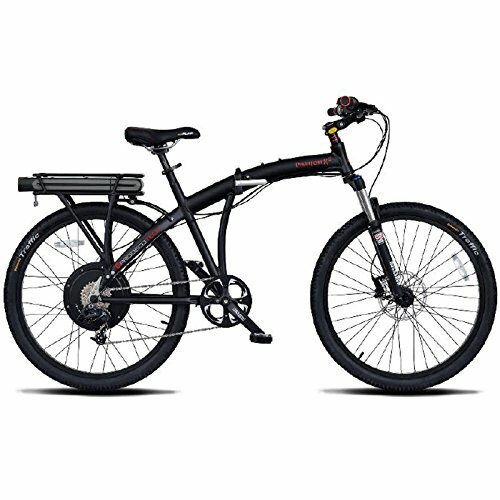 I use this bike everyday for my commute to work and have been super happy. 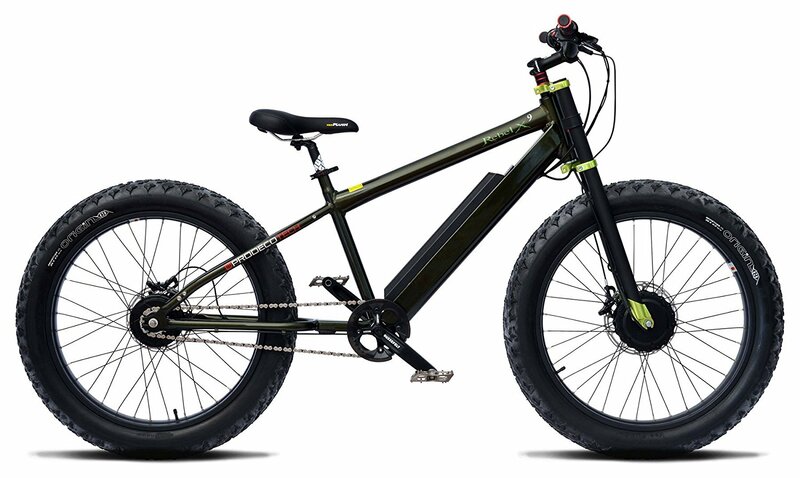 My only complaints are that the battery is a bit too heavy for my liking and is placed in the back, making the balance slightly off. 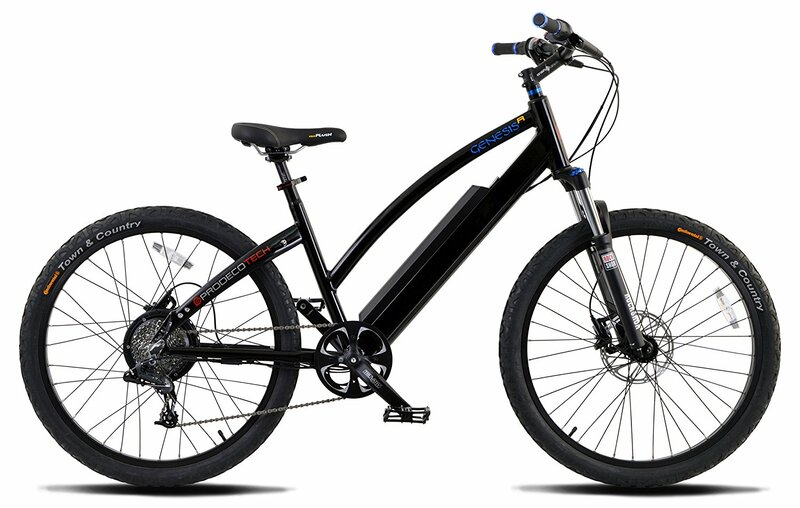 All in all, not a major issue and still very happy with the Stride 500.